There might be more to that, I thought, than he realized. Here’s the story of Lewis’s death, as I was told of it. On November 22, 1963, at about 4:00 p.m., Lewis’s brother Warnie served his brother his afternoon tea. About 5:30 p.m., about an hour and a half later, Warnie heard a crash, boom, bang coming from Lewis’s room. He rushed in, only to find Jack, as he was known to his family and friends, lying on the floor, unconscious. Scooping him up into his arms, Lewis remained unconscious and then died in his brother’s arms. Kidney failure, I understand, was the cause. That would have been about 11: 30 a.m., North Texas time. About an hour later at 12:30 p.m., the 35th president of the United States, John F. Kennedy, was assassinated on the streets of Dallas. I was in fifth grade and heard the word from my teacher, Miss Watkins. To be sure, the Kennedy assassination overshadowed the news about Lewis’s death. But, of course, this paper is not about the deaths of these three notables, but to share with you a few insights on art from the mind and pen of one who died that day, C. S. Lewis. Though I must say, that staying in the room in which CS died did creep me out a bit — there was a lot of talk about fairies, spooks, demons, angels, and the supernatural in general around — I knew my accommodations in that room would make for a much better story. So I remained. Indeed, one letter of his I read while there stated that if he came back to haunt anyone, it would be at Cambridge. That enabled me to breathe a sigh of relief. Lewis spent more time doing art than talking about it. Perhaps Lewis would have identified with this rather scathing statement from American artist Barnett Newman (1905–1970). Regardless, Lewis, as a Christian, was a connoisseur of the arts and was himself was artistic, though I understand there are two different attitudes about his perspectives on the arts. Either he was a highbrow, elitist according to some, or a lowbrow philistine according to others. In my mind, there may have been room for both. Perhaps this is because he sought to be Christian in his approach. For example, though he valued art and culture, Lewis did not see it as a final good — an end in itself, an idol or a god that could save us. That, of course, is a fatal mistake. It amounts to idolatry, as the Apostle Paul states in Romans 1:25: “They exchanged the truth about God for a lie and worshiped and served the creature rather than the Creator, who is blessed forever! Amen (ESV). Thus, Lewis did value the creation of culture and art in God the creator; and with this order in mind, let’s take a walk with C. S. Lewis and see what he has to say about the arts and aesthetics specifically. If we were walking with him side by side, say along Addison’s walk under the shade of its beautiful trees, I think he would share at least these five things. First, the beauty (along with truth and goodness) in art and aesthetics is objective. That is to say, Lewis did not believe that the way things are, reality as such beauty included (along with truth and goodness), was merely in the eye of the beholder in some sort of poisonous, person-relative, subjective sense. Rather Lewis believed in the existence of an objectively true reality, the way things really are. He called it the Tao — a Chinese word he used to convey the notion of an objective natural law that constituted reality and was spread over everything, beauty included (along with truth and goodness). Morality is rooted in God and his character. The Ten Commandments reveal His holy character; the ten words also clarify and declare what He expects from us morally. Similarly, beauty is rooted in God and his character. Yet we don’t have ten aesthetic commandments since, apparently, we are to work these out culturally in the working out our aesthetics. We have settled on ideas such as order, balance, proportion, brightness, clarity and so on as essential aesthetic and artistic properties. It was an empty world when Digory and Polly first arrived, very much like nothing. But then in the chaos, a Voice began to sing in the most sonorous tones imaginable. All at once the blackness overhead was ablaze with stars who joined in on the chorus, though in lesser voices. As the main Voice reached a crescendo, the sun was born, laughing for joy as it arose! In the fresh light of the young sun stood the Lion Aslan — huge, shaggy, and bright as it was singing the new world into being. As his song continued, the valley grew green, trees were born, flowers blossomed, and then, as a stretch of grassy land was bubbling up like water in a pot and swelling into humps, out came the animals great and small. Then in a solemn moment, there was a flash of fire and Aslan’s fiat: “Narnia, Narnia, Narnia, awake. Love. Think. Speak. Be walking trees. Be talking beasts. Be divine waters” (116). Aslan then said to them: “Creatures, I give you yourselves. . . . I give to you forever this land of Narnia. I give you the woods, the fruits, the rivers. I give you the stars and I give you myself” (118). Thus, the creation of Narnia was then complete. However, all this looked totally different from Uncle Andrew’s perspective (not to mentioned Queen Jadis, for she also hated it). When Uncle Andrew first heard the Voice, and the stars shone, and the first light of the sun was revealed, Uncle Andrew’s mouth fell open, but not with joy like Digory and Polly. He did not like the Voice. It was that song of the Lion’s that he detested more than anything else. It made him think and feel things he just did not want to think and feel. So he convinced himself completely that it was nothing but an ugly roar. He soon did hear nothing but roaring in Aslan’s song. Soon he couldn’t have heard anything else even if he had wanted to. And when at last the Lion spoke and said, “Narnia awake,” he didn’t hear any words: he heard only a snarl. And when the Beasts spoke in answer, he heard only barkings, growlings, bayings and howlings. And when they laughed—well, you can imagine. That was worse for Uncle Andrew than anything that had happened yet. Such a horrid, bloodthirsty din of hungry and angry brutes he had never heard in his life (126). Unable to see the true, objective, God-given truth, goodness and beauty of things, Uncle Andrew, to use expressions from The Abolition of Man, was simply a trousered ape, and an urban blockhead. And since he also lacked any inward desire or emotion or unction to observe and do the right things, he was, as Lewis also offered in Abolition, a man without a chest. A trousered ape, by the way, Lewis said was the kind that could only conceive of, say, the Atlantic Ocean as so many million tons of cold salt water. Artists of various kinds, can fall prey to the same condition as Uncle Andrew: they, too, can be trousered or skirted apes, urban block heads, and chestless human beings who are not really human at all, failing to see and express the glory in things and lacking ordained affections and just sentiments as well. Or artists can stand and see and be like Digory and Polly, and discern and celebrate and express artistically the true objective truth, goodness and beauty in the whole of creation. So, the first thing we learn from Lewis is the objective nature of truth, goodness and beauty in culture and the arts. We must see it, seek it out, capture, and express it. Second, art and aesthetics can be signposts pointing to God and true joy. Multiple experiences he remembered, of nature, art, and literature may evoke within him, and us, an experience of intense longing and desire for joy. The Germans, Lewis says, called this longing and desire Sehnsucht, described by Lewis in these words in the preface to the third edition of The Pilgrim’s Regress. Premise 1: Every natural, innate desire [artistically prompted] in us corresponds to some real object that can satisfy that desire. Premise 2: But there exists in us a desire [artistically prompted] which nothing in time, nothing on earth, no creature can satisfy. Again, artistic objects and the world itself can easily be confused for the true, heavenly object it points to, namely God. We don’t want to make that mistake. Instead, artistic objects and world may point us to God who can satisfy our desires, the source of true joy. It did for Saint Augustine. 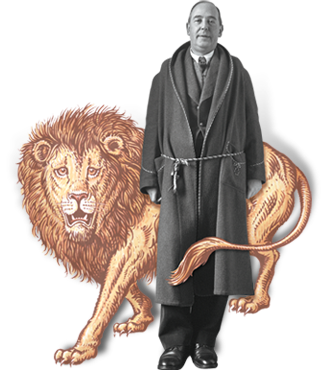 “It did for C. S. Lewis.”  May art do that for us. May our art do that for others. Point to God and joy thru your art. Third, art and aesthetics must be incarnational. If we use Lewis language, we would say the TAO became flesh and dwelt among us. Or to put it more accurate terms biblically and theologically, as the eternal Son of God and second person of the Trinity, the Word or Logos of God became flesh and dwelt among us (John 1:14). In other words, Jesus bought a house and “moved into the neighborhood,” as Eugene Peterson paraphrases John 1:14 in The Message. Jesus’s “divinity-in-humanity” or “humanity-in-divinity” is the mystery of the incarnation (1 Tim. 3:16a) and this has all kinds of artistic and aesthetic implications for Lewis. it meant the meeting and valuing of both of the mundane and the miraculous … together. Fourth, art and aesthetics are not just for pragmatic and didactic purposes, Christian or otherwise. In love we escape from our self into one other. In the moral sphere, every act of justice or charity involves putting ourselves in the other person’s place and thus transcending our own competitive particularity. … The primary impulse of each is to maintain and aggrandize himself. The secondary impulse is to out of the self, to correct its provincialisms and heal its loneliness. Submitting ourselves to the art-work, therefore, is our primary responsibility. In this same book An Experiment in Criticism, Lewis rejects the idea of only looking for truth in an art-work, by merely probing it for its underlying philosophy or worldview. Hence, he rejects worldview analysis as the exclusive way to approach a work of art, especially fiction. In short, Lewis values literature and the arts apart from their utilitarian purpose. Artistic and aesthetic sensibilities are lost – the powerful imaginative dimensions – if worldview analysis becomes the primary way of approaching art. In other words, we can become myopic, narrow-minded, bigoted, prejudiced, and intolerant. Food and cooking, for example, is more than mere nutrition, and there is more to art and aesthetics than worldview underpinnings. We need flavor! Though he does not reject worldview analysis entirely (as is made clear in his essay “Christianity and Culture” ), he would couple it with other basic artistic and aesthetic concerns and the entertainment, play, fun, and leisure that should accompany good art. In any case, avoid propaganda. Fifth and finally, art and aesthetics can convey Christian themes, but the Christianity within a work of art is best if it is “latent” or indirect. In advocating art as art with its Christianity latent, his argument is something like this: just as God’s very good creation is God’s very good creation in and of itself and without need of so-called “religious” justification, so we live in an intrinsically good world and we create creatively and imaginatively as something very good in and of itself without need of pragmatic or didactic justification because we are made in the image and likeness of a creative and imaginative Creator. Christian doctors, dentists and coaches shouldn’t neglect or ignore the importance of good medicine, dentistry, or coaching just in order to do evangelism and so on. Such would be a serious misuse, even a prostitution, of their God-given crafts and calling. They should be excellent first and foremost as doctors, dentists, and coaches; the gospel will follow. Indeed, it will “bubble” up. Our faith is not very likely to be shaken by any book on Hinduism. But if whenever we read an elementary book on Geology, Botany, Politics, or Astronomy, we found that its implications were Hindu, that would shake us. It is not the books written in direct defense of Materialism that make the modern man a materialist; it is the materialistic assumptions in all the other books. I believe that any Christian who is qualified to write a good popular book on any science may do much more by that than by any direct apologetic work…. We can make people (often) attend to the Christian point of view for half an hour or so; but the moment they have gone away from our lecture or laid down our article, they are plunged back into a world where the opposite position is taken for granted…. What we want is not more little books about Christianity, but more little books by Christians on other subjects — with their Christianity latent. Indeed, to destroy this obstacle at its root, we best follow Lewis’s advice: create works of art (among other things) based on Christian assumptions, with the Christianity latent. … or bubbling up. This may just be the best apologetic of all. Thus artists who do this just may be the best apologists of all. In a sense, this means a smuggling in of Christianity into the cultural bloodstream and mainstream. Actually, I think this is biblical. The incarnation itself may have been the “Grand Miracle,” but it was not carried out on a grand scale, with pomp and circumstance … a really big show. Rather, Jesus came to this earth in humility, obscurity, and anonymity. Furthermore, when Jesus would perform a major miracle, he would often follow it up by telling the recipient of the mighty deed to tell no one. See Luke 8:55, for example. Mark 8:30 is another where after Peter’s confession of Jesus as the Christ, Jesus commanded his disciples not to tell anyone. It’s known as the Messianic secret. Artists, then, can be God’s smugglers. Thus, you artists, let your Christianity be latent and allow it to “bubble up” … naturally. First, beauty (along with truth and goodness) in art and aesthetics is objective. Fifth, art and aesthetics can convey Christian themes, but the Christianity within a work of art is best if it is “latent” or indirect. 1. Affirm the transcendent objectivity of beauty (and truth and goodness). 2. Point to God and joy in and through your art. 5. Smuggle. Be latent. Let your faith bubble up in your work. May the Holy Ghost, and the ghost of C. S. Lewis, haunt your work as an artist as your work is informed by Christian faith. Dr. David K. Naugle is chair and professor of philosophy at Dallas Baptist University where he has worked for 21 years in both administrative and academic capacities. He earned a Th.D. in systematic theology, and a Ph.D. in humanities with concentrations in philosophy and English literature. Dr. Naugle is the author of Worldview: The History of a Concept (Eerdmans 2002), which was selected by Christianity Today magazine as the 2003 book of the year in the theology and ethics. He is on the “Creative Council” (Board) of Art House, Dallas – http://www.arthouseamerica.com/dallas-home/ and has a forthcoming volume titled Philosophy: A Student’s Guide due out Sept. 2012 (Crossway). With a hat tip to Charlie W. Starr and his essay “Aesthetics vs. Anesthesia: C. S. Lewis on the Purpose of Art,” available at: http://library.taylor.edu/dotAsset/e0530ce0-be3c-4980-ba6a-c3ed39e810b3.pdf. Accessed May 23, 2012. From http://en.wikipedia.org/wiki/Aldous_Huxley. Accessed May 23, 2012. Barnett Newman, quoted by Arthur C. Danto in The Abuse of Beauty: Aesthetics and the Concept of Art, (Peru, IL: Carus Publishing Company/Open Court Publishing, 2003), 1. C. S. Lewis, “First and Second Things,” in God in the Dock: Essays on Theology and Ethics, ed. Walter Hooper (Grand Rapids: Eerdmans, 1970), p. 280. April 23, 1951, cited at: http://thegospelcoalition.org/blogs/justintaylor/2010/07/28/the-first-things-first-principle/. Accessed May 15, 2012. C. S. Lewis, Letters to Malcomb: Chiefly on Prayer (New York: Harcourt, Brace & World, Inc., 1963/1964), p. 73. C. S. Lewis, The Abolition of Man or Reflections on Education with Special Reference to the Teaching of English in the Upper Forms of Schools (New York: HarperSanFrancisco, HarperCollinsPublishers, 2001, originally 1944, 1947), p. 18. The following summary is abbreviated from my own book Worldview: The History of a Concept (Eerdmans, 2002), pp. 1-3. Page numbers in parentheses are from C. S. Lewis, The Magician’s Nephew, with pictures adapted from illustrations by Pauline Baynes (New York: Collier Books/Macmillan Publishing Company, 1970, 1955). C. S. Lewis, The Pilgrim’s Regress: An Allegorical Apology for Christianity, Reason and Romance (Grand Rapids: Eerdmans, 1958, originally, 1933, 1943), pp. 9-10. For a discussion of the notion of Sehnsucht in C. S. Lewis, see Corbin Scott Carnell, Bright Shadow of Reality: Spiritual Longing in C. S. Lewis (Grand Rapids: Eerdmans, 1974). C. S. Lewis, Surprised by Joy: The Shape of My Early Life, A Harcourt Brace Modern Classic (New York: Harcourt, Inc., 1955), pp. 15-16. C. S. Lewis, Mere Christianity (New York: The Macmillan Company, 1958), p. 106. Peter Kreeft and Ronald T. Tacelli, Handbook of Christian Apologetics: Hundreds of Answers to Crucial Questions (Downers Grove: InterVarsity Press, 1994), pp. 78-81. This material is also online at: http://www.peterkreeft.com/topics/desire.htm. Accessed May 15, 2012. From Charlie W. Starr, “Aesthetics vs. Anesthesia: C. S. Lewis on the Purpose of Art.” Available at: http://library.taylor.edu/dotAsset/e0530ce0-be3c-4980-ba6a-c3ed39e810b3.pdf. Accessed May 15, 2012. C. S. Lewis, “Myth Became Fact” in God in the Dock: Essays on Theology and Ethics (Grand Rapids: Eerdmans, 1970), 66-67. See C. S. Lewis, “The Grand Miracle,” in God in the Dock: Essays on Theology and Ethics (Grand Rapids: Eerdmans, 1970), pp. 80-88; and Miracles: A Preliminary Study (New York: Macmillan Publishing Co., Inc., 1947), chapter fourteen. C. S. Lewis, “The Grand Miracle,” in God in the Dock: Essays on Theology and Ethics, ed., Walter Hooper (Grand Rapids: Eerdmans, 1970), p. 82. Philip Harrold, “Smuggling for God: What the Emerging Church Movement Can Learn from C. S. Lewis’ Incarnational Aesthetic,” Available at: http://www.cslewis.org/journal/smuggling-for-god-what-the-emerging-church-movement-can-learn-from-c-s-lewis’-incarnational-aesthetic/2/. Accessed May 15, 2012. Dawn Waters Baker, God in My Paint: Little Truths I’ve Learned While Painting (Blurb.com, 2011). C. S. Lewis, Surprised by Joy: The Shape of My Early Life, A Harcourt Brace Modern Classic (New York: Harcourt, Inc., 1955), p. 158 (emphasis added). Francis A. Schaeffer, Art and the Bible: Two Essays, rev. ed., foreword Michael Card (Downers Grove: InterVarsity Press, 2006), p. 88. Schaeffer, Art and the Bible, p. 90. C. S. Lewis, An Experiment in Criticism, Canto edition (Cambridge: Cambridge University Press, 1961, Canto edition 1992), p. 137-38, 139. Lewis, An Experiment, p. 19. Lewis, An Experiment, pp. 82-83. C. S. Lewis, “Sometimes Fairy Stories May Say Best What’s to be Said,” in On Stories and Other Essays on Literature, ed., Walter Hooper (New York: A Harvest/HBJ Book, 1966/1982), p. 46. C. S. Lewis, “Christian Apologetics,” in God in the Dock: Essays on Theology and Ethics, ed., Walter Hooper (Grand Rapids: Eerdmans, 1970), p. 93 (emphasis added). J. Gresham Machen, “Christianity and Culture,” The Princeton Theological Review 11 (1913): 7. See Philip Harold, “Smuggling for God: What the Emerging Church Movement Can Learn from C. S. Lewis’ Incarnational Aesthetic,” available at: http://www.cslewis.org/journal/smuggling-for-god-what-the-emerging-church-movement-can-learn-from-c-s-lewis’-incarnational-aesthetic/. Accessed May 23, 2012. This entry was posted in David Naugle and tagged arts, humanism, incarnation, Kilns, narnia, Tao, Walter Hooper, Warnie Lewis.